The time machine of writing: Blog Tour!!! 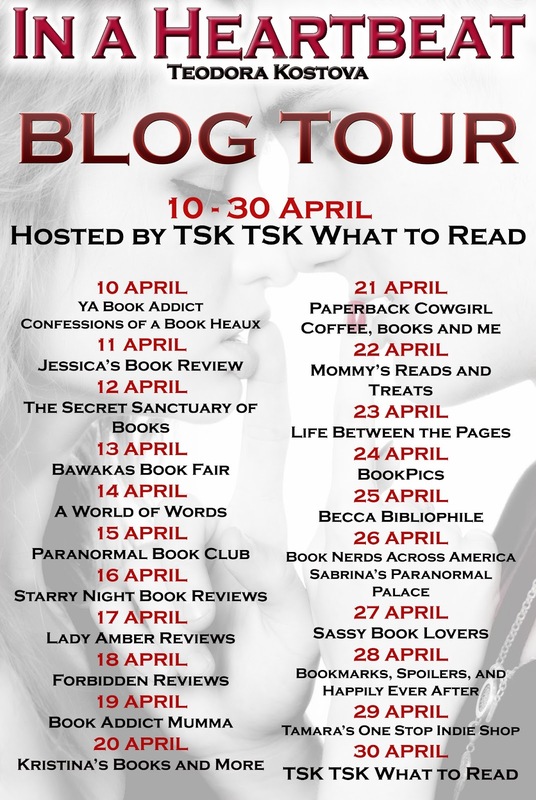 In a Heartbeat Blog Tour is kicking off tomorrow! It's going to be huge with blogs taking part over 3 weeks! We've got so much going on - interviews, reviews, playlist listings, giveaways, alternate POV scenes... It's hosted by TSK TSK What to Read and organized by the wonderful Kathryn Grimes. I'm very excited about it, but most of all I'm thankful and humbled by everyone's support! Book bloggers and reviewers are such amazing people, with passion for books and unending support for authors. I've made some really good friends along the way and I couldn't be happier right now. Thank you!!! Here's the full schedule - mark the dates and make sure you visit the blogs, not just because they all are pretty awesome, but also for a chance to win books and swag.